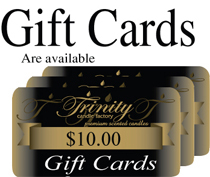 Trinity Candle Factory Premium Scented Sandalwood - Votive Candle - Single. This votive is approx. 1 3/4" x 2" and fits all standard votive holders. Premium scented for maximum fragrance throw. With a 15-20 hour burn time, cotton wick and premium scent, this candle is a great find. Our Sandalwood fragrance is a nice, earthy, masculine, woodsy blend all rolled into one great smelling fragrance. An all time favorite. 100% Satisfaction Guarantee. 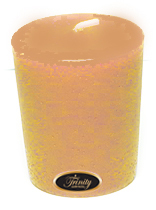 High quality sandalwood candle - will buy again as a candle and possibly as a reed diffuser oil. The candles shipped and arrived as they said they would. The smell is heavenly. Been searching for this particular scent for a long time. Will likely order the candles from your company again.